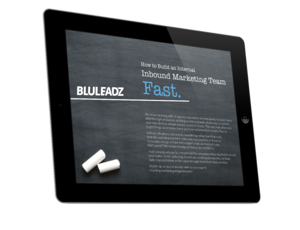 Are You Looking To Bring Inbound Marketing In-House? When seeking out the right digital marketing team, sometimes an inbound agency just doesn’t make sense for businesses. Often, having an in-house team where the overarching Marketing Director has a pulse on progress is more realistic, and addresses the rapid-growth of the company. That said, it’s been our experience as an agency that you must to know how to build a team – sooner rather than later – so we’ve put together this guide.